A man wants to watch some TV, but the TV won't turn on with the remote. There's no power button on the TV, so he can't turn it on with the monitor. But 5 minutes later, he's happily watching TV. What happened and what did he do? The TV was unplugged, so he plugged it back in. 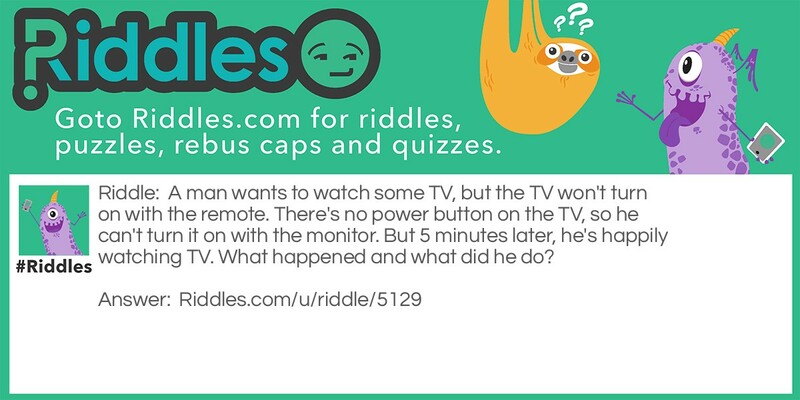 TV Trouble Riddle Meme with riddle and answer page link.